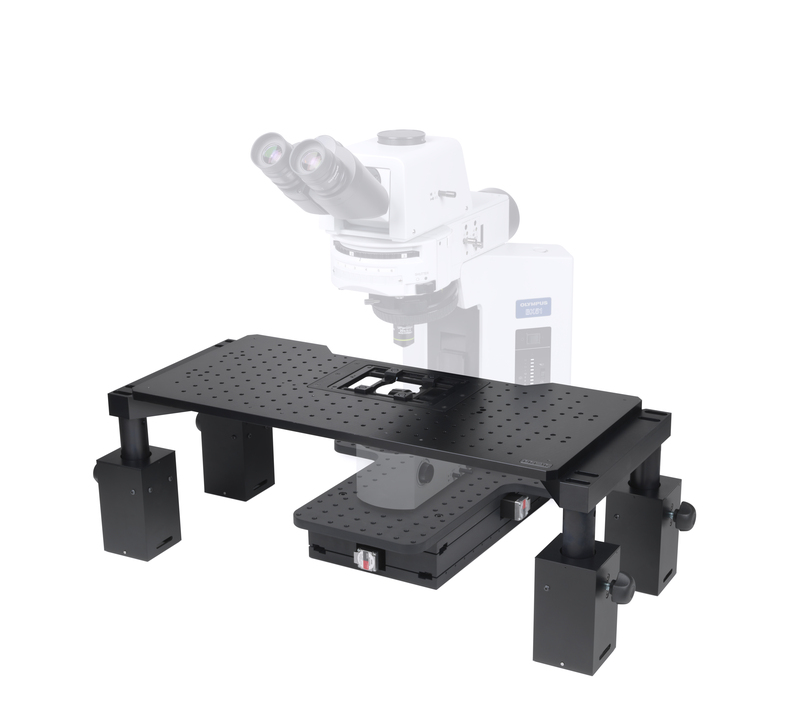 The electrophysiology system is based around a manual Z-Deck and a motorized XY translation stage, which allows the microscope to be moved without moving the sample. The Z-Deck is height adjustable in seconds to obtain the optimal distance for imaging a wide range of samples, from single cells to whole animals. The Lumen 200 gives high quality fluorescence capability across a range of fluorophores, whilst the Brightfield LED provides excellent illumination for other contrast techniques.